National Geographic calls Port Townsend “one of the most sophisticated places west of Seattle,” and arts and entertainment is a large part of the reason why. 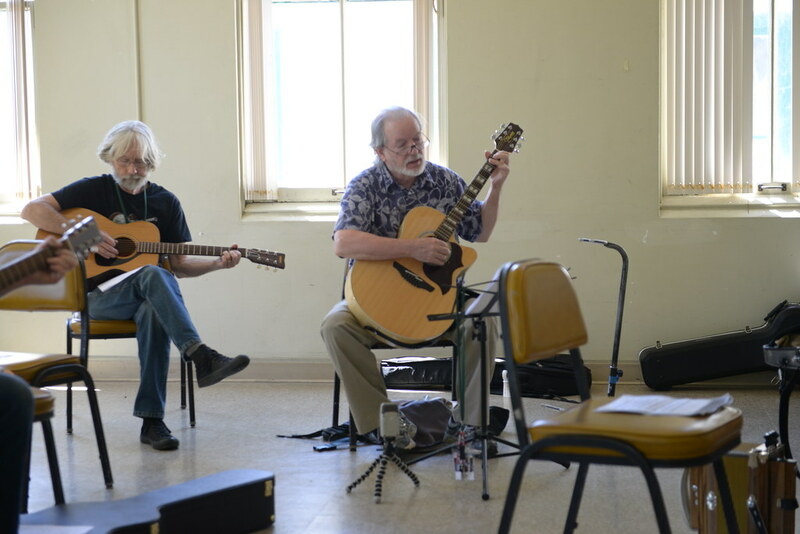 For more than three decades, artists of all ages have flocked to Centrum, the nonprofit arts organization located at Fort Worden State Park, for artist residencies, workshops and performances. 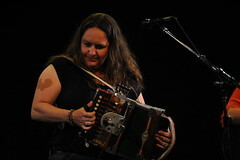 Centrum’s summer performance festivals in music and literature are national events, drawing thousands to the area. Copper Canyon Press, also located at Fort Worden, is the nation’s premier poetry publishing house. Copper Canyon Press fosters the work of emerging, established, and world-renowned poets for an expanding audience. Located at the entrance to downtown, Northwinds Arts Center is a hub of visual arts and literary activity, producing educational programs, lectures, readings and workshops, and by providing juried and invitational venues for displaying the work of regional artists. 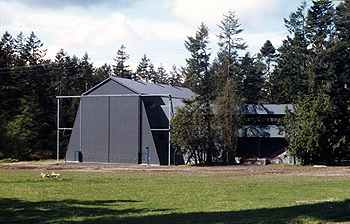 Key City Public Theatre is perhaps the most active and vital theater organization on the Olympic Peninsula. 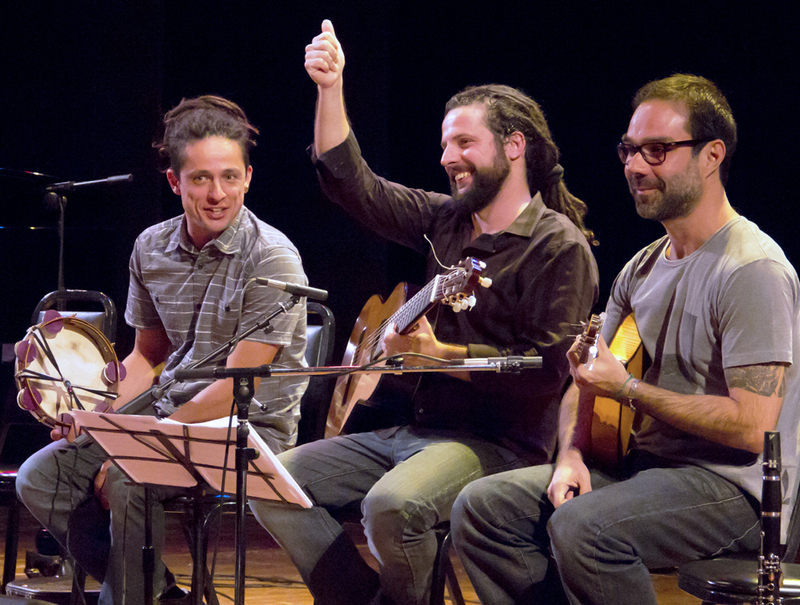 Their year-round slate of performances and workshops draws audiences from around the region. Port Townsend’s location, coupled with its proximity to the Seattle/Vancouver/Portland metro areas, makes the town an attractive destination for national music acts and audiences looking for intimate performance experiences. From music, to theater, to visual and performing arts, Port Townsend is a destination not to be missed. 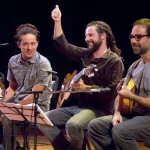 Be sure to visit PTGuide.com’s comprehensive arts and entertainment calendar to find out what’s happening in Port Townsend. Enjoy our annual Olympic Peninsula Red Wine, Cider and Chocolate Tour! Let your temptations run wild with our unmatched extraordinary blends of Washington grapes, apples and pears – paired with decadent chocolate & local culinary fare. You’ll fall head over heels with Olympic Peninsula Wineries & Cideries, during the Olympic Peninsula Red Wine, Cider and Chocolate Tour. This tour takes place over two scrumptious weekends to allow you to savor each venue’s offerings. Our new release varietals and culinary offerings will satisfy every palate and have you falling in love with every sip. Tickets for this self guided tour are available on-line for $40 or $45 at the wineries or cideries and are non-refundable. These tickets include a souvenir wine glass, wine and cider tastings at each location as well as sensational chocolate pairings. Visitors who get their ticket stamped at all nine tasting rooms will be entered into a drawing for a love inspired gift basket. Purchase tickets here. All venues will be open from 11:00 a.m. to 5:00 p.m. each day for the tour and some venues may have extended hours for non-tour visits. Tasting fees for those not participating in the ticketed event will be $10 per person at each winery or cidery. The Olympic Peninsula Wineries encourage responsible wine touring and recommend that you have a designated driver in your group. Designated drivers do not need to purchase a ticket and are always welcome to taste the food. While children are allowed in the tasting rooms, you must be 21 or over to purchase tickets and/or participate in wine and cider tasting. Eaglemount Winery & Cidery: Join Eaglemount with chocolate serenade, delicious caramel sauce paired with our lineup of ciders, wines and meads with the new release of Brambleberry Burn Cider and wine release of Tempranillo you’ll fall in love with Eaglemount again and again. Harbinger Winery: Attention Wine Lovers and Chocoholics! The Red Wine, Cider and Chocolate Tour is your ticket to unabashedly celebrate several great things at the same time; the survival of another cold, dark January, the anticipation of blooming romance, and the celebration of red wine, hard cider and gourmet chocolate. The Harbinger crew has been surfing through an ocean of wine and chocolate pairings and gleaning tattered and wine- stained notes to create the ultimate palatial experience for you on the subject. Also in the works is the highly provocative VIP Reserve tasting for those daring enough to step behind the velvet curtains of the Kitty Kat Lounge. Sample Harbinger Winery’s gold medal and reserve wines with handmade aphrodisiac chocolates and prepare to have your preconceived beliefs warped with mind-bending creations. We hope to see you at Harbinger Winery for this much anticipated, once-a-year chocolate extravaganza! FairWinds Winery: visitors can have fun dipping tasty tidbits from salty pretzels to sweet strawberries in the chocolate fountain and discover a favorite pairing with our current wine releases, including the popular Port O’ Call. Finnriver Farm & Cidery: At Finnriver, we will seek to delight the senses with tantalizing tastes of our decadent brandywines and our farm crafted ciders, including our orchard series Golden Russet Cider, botanical Solstice Saffron Cider, our beloved Raspberry Brandywine and newly released Chai Brandywine. Also enjoy samples of chocolate delights or purchase a hot meal from the Finnriver Kitchen or one of our wonderful weekend food vendors: Dented Buoy woodfired pizza or Hama Hama oysters and chowder! We will also have live music Saturday evening and Sunday afternoon. Marrowstone Vineyards: Marrowstone Vineyards is excited to share their red wine and chocolate offerings to help shake off those winter blues! For the wine, cider and chocolate experience we will be pouring our red wines with a taste of sweet as well as savory. Silverwater Café will be providing us with delectable turtle fudge, and some decadently rich chocolate mousse truffles. For our savory option they are preparing cacao spice rubbed lamb skewers. These tasty bites of sweet and savory, paired with our red wines is something you will absolutely not want to miss out on. Wind Rose Cellars: Wind Rose Cellars plans an exciting and educational experience when you visit our tasting room. We will pour some of our award-winning reds paired with local chocolatier Yvonne Yokota. Yvonne will also be on site with chocolate truffles along with her delicious chocolate bark. We will pour the following wines: 2013 Primitivo, 2014 Field Blend Cabernet Sauvignon, 2012 Nebbiolo, 2014 Bravo Rosso, 2015 Hunters Red and our ever so popular 2017 Muscato. We have some special sales going on as well. We also plan to have our VIP bar open pouring some of our rare and super limited produced wines. Join us if you can. We’d love to show you our spin on Italian varietals grown in Washington State. Camaraderie Cellars: we like to think that red wine and dark chocolate applied internally is just what the doctor orders to sustain your good health. Sips of varietals such as Cabernet Sauvignon and Tempranillo, as well as Bordeaux-styled blends will certainly fill the bill. Add to that, tasty bittersweet chocolate heart cookies and dark chocolate bark bites. And to highlight savory chocolate, the Cocoa Spiced pulled pork will be back by popular demand. Enjoy tastings in our new Ridge Room. Toasting good health for all! Great discounts will help add to your cellar. Olympic Cellars: Olympic Cellars welcomes you. It is our 40th Anniversary and in celebration, we will release our first ever Pinot Noir with a special commemorative label. We are really excited to have ‘We Do Fudge’ of Sequim back on-site pairing the perfect fudge flavors with two new limited-release wines. Petite Sirah, 2015 -This is our first vintage of this delicious full-bodied, well-balanced wine which tastes of juicy plum and raspberry. Petit Verdot, 2015 – The mouth feel is plush, and the taste is distinctive for the espresso, bitter chocolate overtones to its plump core of black currant and blueberry flavors. Last year’s favorite pairing of White Port and carrot cake fudge will also be back. Yumm! As always, we will have a variety of red and white wines available to sample. You will also enjoy sampling some fun nibbles in the cellar and taking advantage of special discounts to stock up your cellar. Port Townsend Vineyards: Come visit us on the Red Wine, Cider & Chocolate tour and taste a sneak peak of our highly-anticipated Discovery Rosé! Attendees will receive the first tastes of this year’s vintage. We’ll also be pouring our 2017 Merlot and 2016 Pinot Noir, delightfully paired with truffles from Elevated Chocolate and other snacks. Come walk through the tank hall to view operations and settle in inside our heated Discovery Room Pavilion. 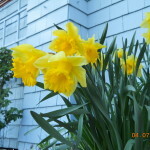 We’re celebrating spring in Port Townsend and invite you to join us! It’s a beautiful season of new beginnings, fresh buds in bloom, animals birthing new offspring and the earth seemingly coming alive again. With farmers and gardeners planting seeds and harvesting early products, we’re excited to welcome back the Farmers Market after its winter hiatus! Where else can you enjoy a goat parade with kids—both four-legged and two—as they wend their way along Taylor Street in Uptown Port Townsend through an array of farmers, bakers, crafters, shellfish growers, cider and wine makers and more? 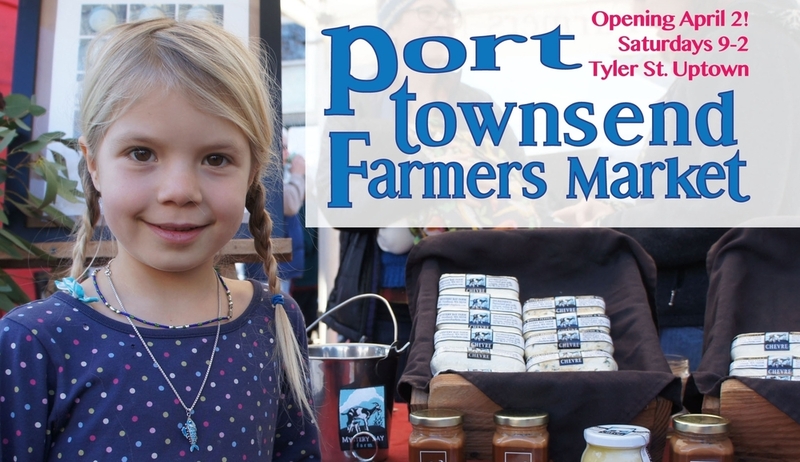 It all begins with the opening of the Port Townsend Farmers Market on Saturday, April 7, with a ribbon cutting at 9 am followed by the baby goat parade. (Come in an animal costume for a chance to win a $20 Flora Market token!) Delight in the 70+ vendors that spring into the freshness of the season with a wide array of products for your enjoyment. A chef’s demo and live music will add to the day’s festivities. The Farmers Market invites you to celebrate 26 years of nurturing and sustaining local farms and entrepreneurs. For more info about the market, go to www.jcfmarkets.org. Key City Public Theatre presents Wolf at the Door, April 12-28, with evening shows at 7:30 pm and Sunday matinees at 2:30 pm. A tenant’s rights association built on shaky alliances comes to loggerheads in the face of a gentrifying block in this hilarious world premier by acclaimed playwright, Richard Dresser. The play utilizes double roles for each actor, keeping you on the edge of your seat. There’s a new landlord in town promising to make the building better, safer and more modern, but what about the people in rent-controlled apartments who have started to disappear. And isn’t building security just a little over the top? Character Tina thinks it’s time to form a Tenant’s Association and fight back before it’s too late. Will they hang together or hang separately? Find out the answer at the play! For more info or to purchase tickets, go to www.keycitypublicthreatre.org or call 360.385.5278. The Port Townsend Film Festival’s Women & Film weekend includes your choice of 16 films, and two special events. In this #TimesUp, #MeToo year, women filmmakers break the “rules” without apology at the “Women Speak Out” symposium, Saturday, April 14, at 10:30 am, at the Cotton Building in downtown Port Townsend with coffee and pastries. Saturday night’s special event begins with a gathering at Taps at the Guardhouse at Fort Worden, followed by a 7:30 pm screening of Catching Sight of Thelma & Louise, with director Jennifer Townsend, at the Wheeler Theatre at Fort Worden. Passes are $75 and all include concierge service. Only 250 passes are available. 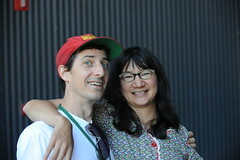 To purchase, go to www.ptfilmfest.com. If you love to cook and dream about your ideal kitchen, come to the 21st Annual AAUW/UWF Kitchen Tour, Saturday, April 28 from 10 am to 4 pm. Nine unique homes in Uptown and North Beach will be featured. Tickets are available at www.brownpapertickets.com and on the day of the event at the Hospitality Center at the First Presbyterian Church at 1111 Franklin Street. Make Port Townsend your home base for the weekend and tour nine award-winning wineries and cideries across the Olympic Peninsula for the annual Wine, Cider and Cheese Tour, April 28-29, from 11 am to 5 pm. This wine and cider trail is one to be envied with each location offering a unique and diverse variety of wine and cider paired lovingly with local, hand-crafted cheeses. For more info and ticket details, go to www.olympicpeninsulawineries.org. We look forward to welcoming you to Port Townsend in April! Love is in the air with Valentine’s Day just a few short weeks away. Escape with your sweetheart to Port Townsend for a romantic weekend getaway. We have a wide array of fantastic accommodations to suit your style. Click here for choices and to book your reservation. Many of our restaurants are offering Valentine’s specials too. For more details, contact our Visitor Information Center at info@jeffcountychamber.org or 360.385.2722. 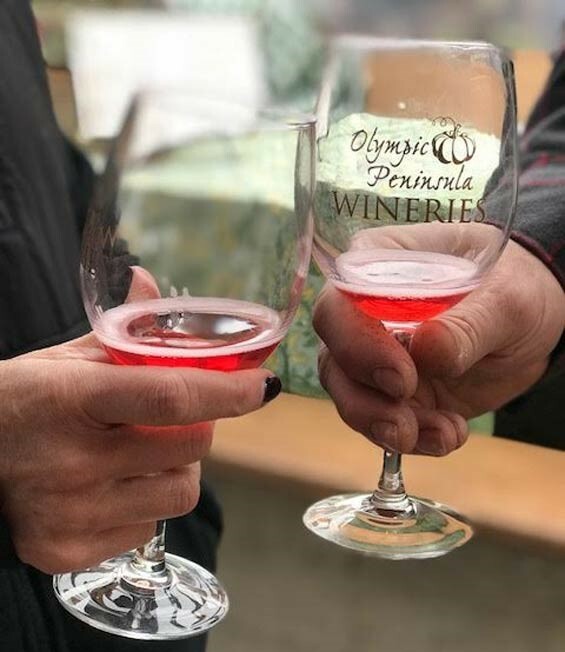 Start your romantic celebration with Port Townsend as your home base and fall head over heels with the Olympic Peninsula Wineries and Cideries during their luscious Red Wine, Cider and Chocolate event over two scrumptious weekends: February 10-11 and 17-19, from 11 am to 5 pm. Let your quest for guilty pleasures run wild with the unmatched, extraordinary blends of Washington grapes, apples and pears—paired with decadent chocolates and local culinary fare. Enjoy a romantic drive through the scenic Olympic Peninsula! With that in mind, we welcome you to come downtown and show your love for our fair city by penning a Love Letter to Port Townsend. You can write a poem, a love letter, or simply list the three things you love most about Port Townsend. Select restaurants and coffee shops will have entry forms. Please enter by February 14 to win prizes. Concierges are ready to assist you! 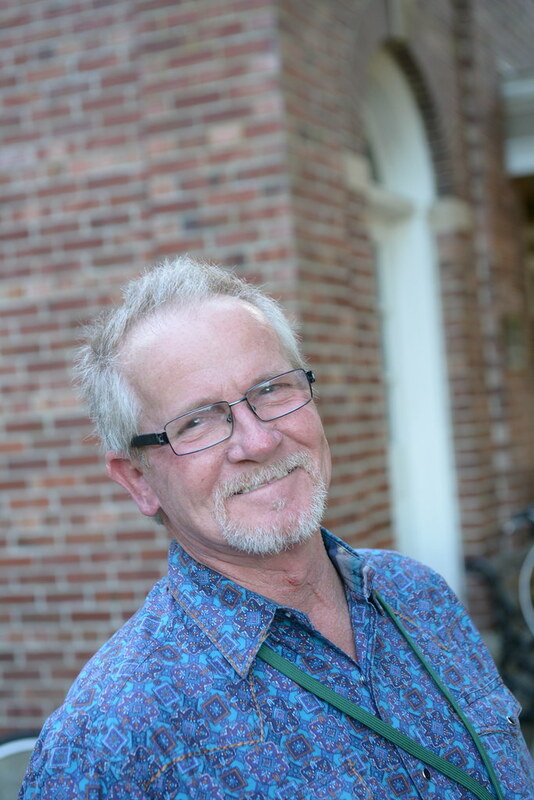 On Saturdays, Port Townsend have friendly “Celebrity Concierges” roaming Water Street, from 1-3 pm, offering suggestions for things to do and see, giving directions and answering questions. They’ll be providing coupon books and maps to help you get around downtown. Be sure to look for them! Hidden throughout downtown are incredible facts (true or false!) about our city. Find 10 of them at participating businesses. Try your hand to see how well you know your facts about Port Townsend by completing the game to be entered in prize drawings–$100 in monthly gift certificates and a chance to win a grand prize of $500 in gift certificates to spend in downtown businesses. 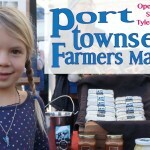 And be sure to tag any of your photos on Instagram or Facebook with #ILovePortTownsend! 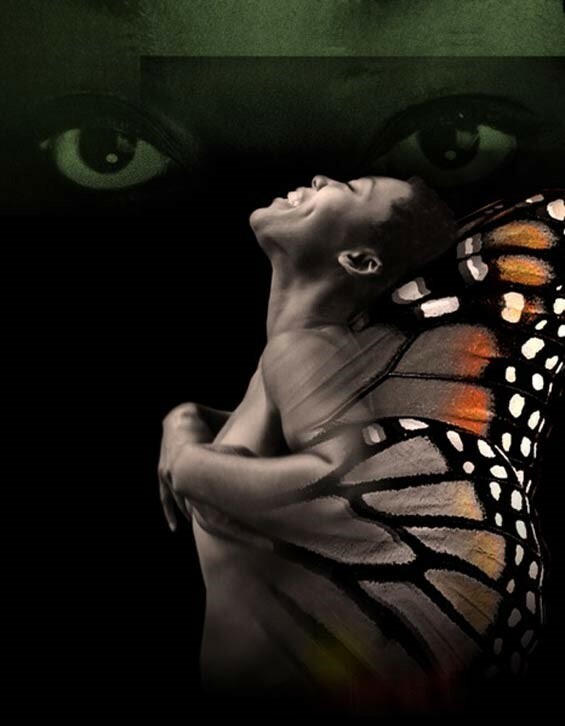 Key City Public Theatre will kick off its 60th anniversary season with the Northwest Premiere of the critically-acclaimed, one-woman play, “Spirit Awakening,” written, directed and performed by Akuyoe Graham, at the KCPT Playhouse February 9, 10, 16, and 17 at 7 pm with Saturday matinees at 2 pm. To purchase tickets, go to www.keycitypublictheatre.org or call 360.385.5278. 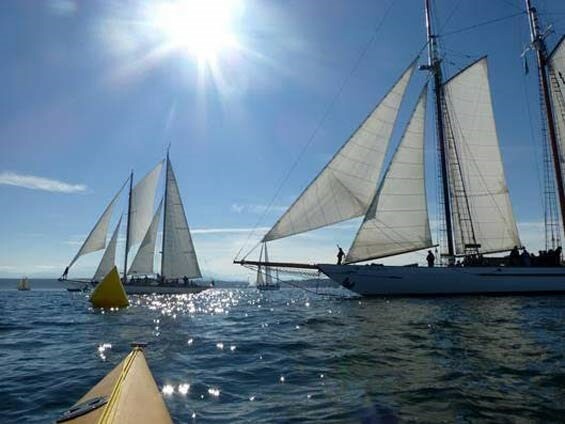 The sailboat racing season opens with the 27th Annual Port Townsend Shipwrights’ Regatta on February 24. Boats of all construction are welcome. As always, the race is open to folks who would like to try sailboat racing, but do not have a boat. Non-boat owners are encouraged to show up at the Skippers’ Meeting to be connected with skippers looking for crew. This is a theater lover’s feast offering 10 plays over two weekends, including six one-act plays by local writers and three full-length plays by regional and national playwrights. The theme is Victorian Dreams—from roots as traditional as tea and shortbread to the high-flying speculation of Jules Verne, there will be celebrations about all that was best in the hearts and minds of this time in history. Mark your calendar for a grand time for the entire family! We look forward to welcoming you to Port Townsend! 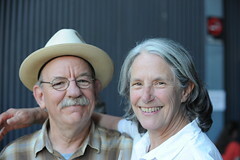 Summer is Sizzlin’ in Port Townsend! Summer is Sizzlin’ in Port Townsend! Summer is in full swing and promises to heat up even more with blazing hot events and activities throughout the month. We have performances that will get your blood pumping, your heart thumping and your feet stomping. Oh, yeah, and you’ll probably get caught laughing a lot too. Enjoy Port Townsend this summer! 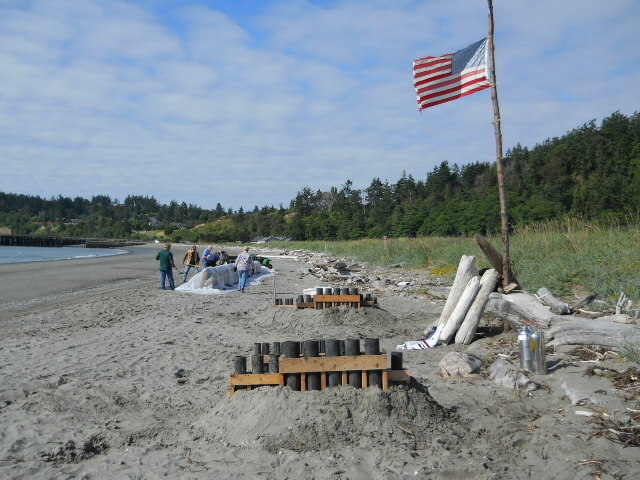 Celebrate America’s birthday at Fort Worden and get ready for the biggest and best party of the year at the “Old School” 4th of July. Don’t miss an epic lineup throughout the day of live entertainment, food vendors, a beer garden, a hot air balloon, field games, free root beer floats, miniature golf and a tug-of-war, all culminating in a glorious display of fireworks once it’s dark. The festivities begin at 4 pm on the parade grounds at Fort Worden. The event is sponsored by the Jefferson County Chamber of Commerce and Thunderbull Productions, along with many local businesses. 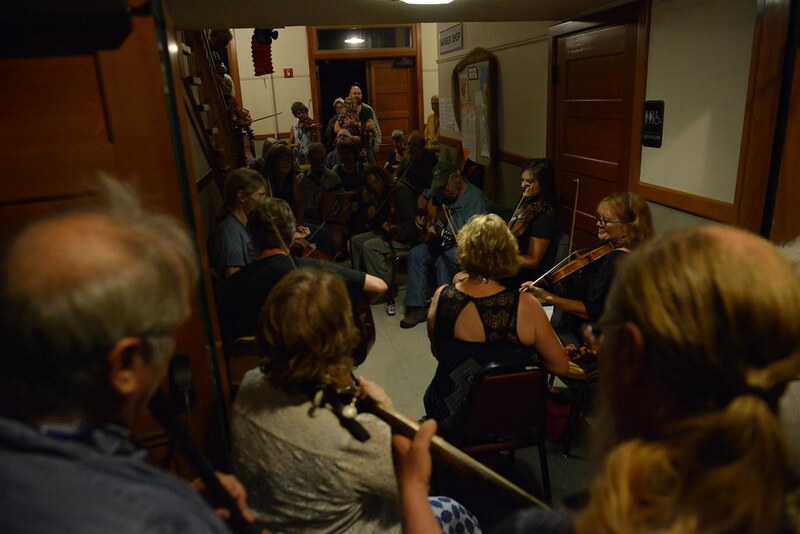 An ”Old School” 4th overlaps with Centrum’s Fiddle Tunes Festival, a week-long immersion workshop presenting fiddle styles from specific regions of the world. Two performances will honor this American holiday: Fiddles on the Fourth is at 1:30 pm in the McCurdy Pavilion including a BBQ on the Green, and at 7 pm, Fiddles and Fireworks will showcase artists from Mexico, Missouri, Virginia and Alberta, also at the McCurdy Pavilion. For tickets, go to www.centrum.org. Following the success of last year’s teen initiative production, Distracted, Key City Public Theatre is launching their 2017 teen initiative, a play written, directed, produced, and acted entirely by Port Townsend youth, Promposal, with performances July 7 – July 15, Wednesday – Sunday at 7:30 pm, with 2:30 pm matinees on July 8 and 9. Tickets are $12, with Pay-What-You-Wish performances on July 9 and 13. True terror is to wake up one morning and discover that your high school class is running the country, Kurt Vonnegut wrote in his book Man Without a Country. Ian Coates’ new play Promposal blurs the line between the daily grind of high school and contemporary American politics. Despite the grim topical backdrop, this teen production is guaranteed to make you laugh out loud with its dark humor. 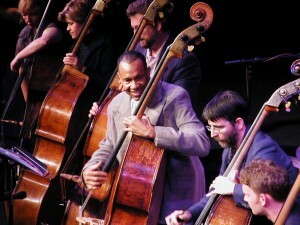 For more info, go to www.keycitypublictheatre.org. Rock the dock this summer at the free, all-ages, outdoor Concerts on the Dock, in downtown Port Townsend on the waterfront. The series, sponsored by the Port Townsend Main Street Program, runs every Thursday, July 13 through August 31, at the Pope Marine Park/City Dock Civic Plaza. Come to dance, see friends, enjoy a drink and have a bite. Local vendors and a beer, wine and cider garden will contribute to the festive atmosphere. Seating opens at 4:30 pm, show starts at 5 pm and ends at 7:30 pm. Bring a chair or a blanket and settle in for some great tunes. 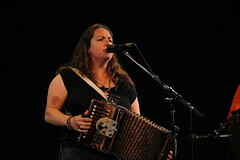 For more into and details about the bands that are playing, go to www.ptmainstreet.org. 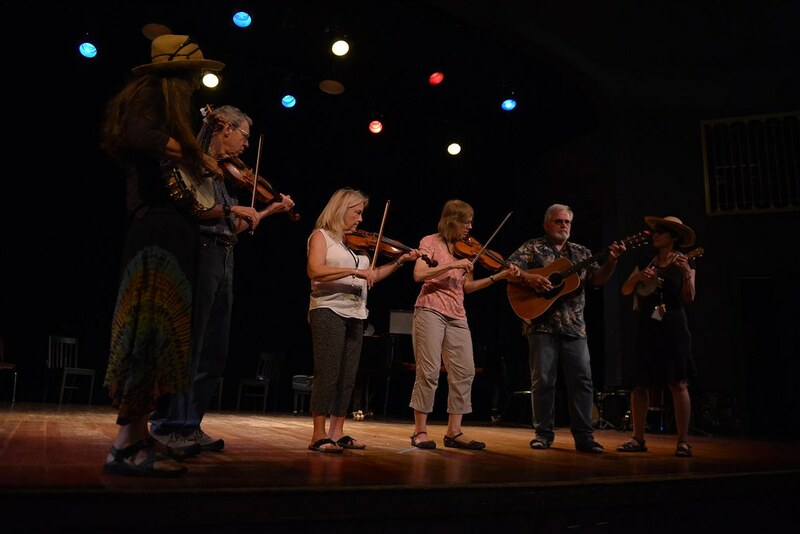 Centurm offers the Free Fridays at the Fort concert series June 30 through August 4, showcasing fiddle tunes, jazz and blues on the lawn of the Commons at Fort Worden and is free to the public. Performances begin at noon and go until 1 pm. Bring a lawn chair or blanket, a picnic lunch or grab something to go at Reveille in the Commons. In the rare event of inclement weather, alternative plans will be posted on www.centrum.org. The wildly popular Olympic Music Festival will be offering their stellar performances in partnership with Centrum with concerts held at the Wheeler Theater at Fort Worden. Artistic Director John Clayton has worked with Centrum to assemble a truly outstanding collection of jazz artists from around the country for this year’s Jazz Port Townsend. 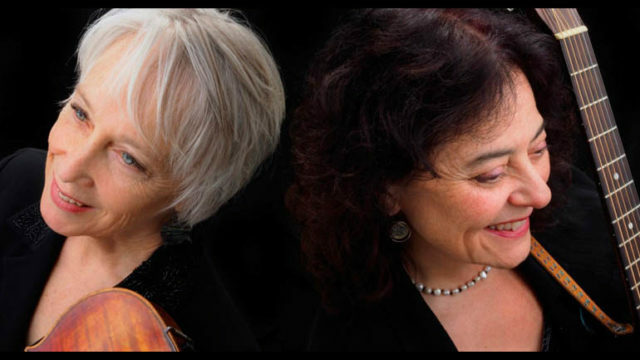 Enjoy “Jazz in the Clubs,” a movable feast of great music featuring intimate performances in venues in downtown Port Townsend. Your wristband is an all-night access pass, allowing you to move around to the various venues throughout the evening beginning Thursday, July 27 at 8 pm, Friday and Saturday, July 28 and 29, at 10pm. 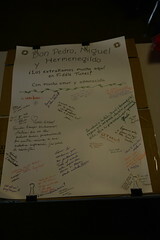 For more information, go to www.centrum.org. Pack up your dancin’ shoes, favorite shorts, best hat, music-loving friends and family and head to Port Townsend for some epic fun and blazing hot summer events this month. We can’t wait to see you! A Few Upcoming Events later this Summer—Save the Dates! Posted in Events around Port Townsend | Comments Off on Summer is Sizzlin’ in Port Townsend! Love from Japan! We receive many comments from our guest over the past 2o years. Here is just one example from a Mom and Daughter that stayed with us just yesterday. In each guest room we have a diary book for guest to make write comments in. Over the years we have seen many comments in these books. Everything from how great their stay at our in was, to great places to dine and what to see and do in the area. We hope you can visit the Blue Gull Inn Bed & Breakfast and share your comments in our diary. 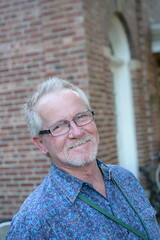 You can make a reservation right on line at www.bluegullinn.com or just give us a call at 360-379-3241. Port Townsend is known for great dining, shopping and FUN. For a list of things to see and do in Port Townsend, WA. Check out www.enjoypt.com. 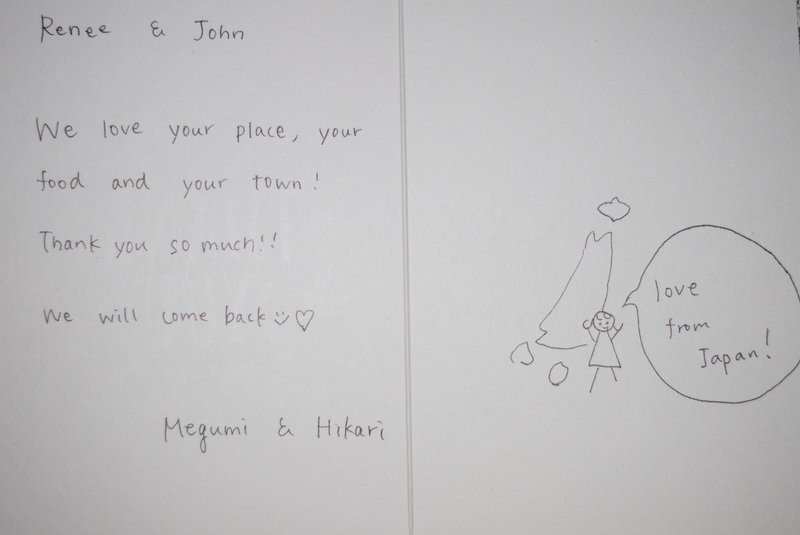 Thank you so much for staying with us and your nice comments! We are happy to hear you enjoyed your visit. The ND Hill House was built by the Hill Family in 1868. It is one of the first homes built in Port Townsend, WA. Port Townsend was incorporated in 1851 and is one of the oldest cities in Washington State. Dr. Hill was the local Pharmacist, owning the ND Hill & Sons Pharmacy. He had locations in both downtown and at one point in Uptown as well. Keep in mind that in that time period a pharmacy would also sell what we call hardware today. The ND Hill building still stands today on the corner of Water and Quincy streets, in downtown Port Townsend, WA. ND Hill became one of the most successful and well-respected men to live in what was the Washington Territory. He was the first manufacturer of medicinal drugs. ND Hill was a very hard working businessman and became in many commercial businesses. For example, banking, railroads, saw mills, hardware, and telegraph companies. He was a territorial representative and County Commissioner. He became one of the leaders in the drive for Statehood in Washington. ND Hill came to Port Townsend in 1868 with his wife, Sallie Hazeltine Haddock Hill and their two sons, Robert Crosby Hill and Howard Hazeltine Hill. It is hard to imagine the ND Hill House was built 3 years after the end of the Civil War in the United States. The Hill Family resided in the home at 1310 Clay Street for 90 years until 1958. At that time the house was sold by Hill’s granddaughter, Sally Hill. She was the last family member to live in the house. She was an elderly woman by that time, who had returned to Port Townsend to care for her father, Howard Hill who was 90 years old. No longer able to climb stairs, he slept on a day bed in the dining room. Bring the family, enjoy the show!!! Get ready for the biggest and best party of the year! The “Old School” 4th of July is coming back for a 3rd round of community collaboration and celebration! 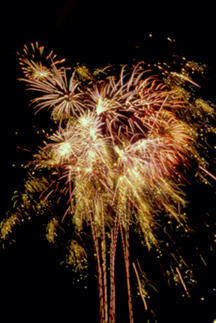 free root beer floats, miniature golf, tug of war and a glorious display of fireworks! An “Old School 4th of July” is the theme of a big celebration this year at Fort Worden State Park featuring music, games, pie-eating and tug-of-war contests, and a free firework display. The event is sponsored by the Jefferson County Chamber of Commerce in collaboration with Thunderball Productions and Centrum’s Festival of American Fiddle Tunes. People are encouraged to bring picnic baskets, blankets, games and anything else they want to share. The Fort Worden Parade Grounds are open for free parking starting at 3:30 p.m. on July 4; all other parking requires a Discover Pass, available at the park for $30 for a year, $10 for a day. The sign-up for the pie-eating contest, $20, begins at 4 p.m., with apple pies made by artisan baker Meredith Hotchkiss. The first 12 people to sign up are to compete. At 6:30 p.m., a flock of bird-shaped piñatas are ready to release candy from Elevated Ice Cream Co. and dental hygiene products donated by David Chuljian, DDS. Free root beer floats are to be served to the first 1,000 people in attendance starting at 7 p.m. There also is still time to sign up for the Old School 4th of July tug-of-war contest with a $1,000 grand prize. Deadline is at 6 p.m., Thursday, July 2 at Pope Marine Park. Additional activities include, but are not limited to, a display of “old school” cars by the Rakers Car Club, boffing with Wildwise Adventure School, henna art by Sacred Skin Henna, a miniature golf course and a PT Village Building Convergence art installation. Centrum Port Townsend, is known around the world for its immersive arts and cultural workshops and festivals. In July, 2016, we will present twenty-four public performances and literary readings (nearly one a day!) at Fort Worden State Park and in venues throughout downtown Port Townsend. 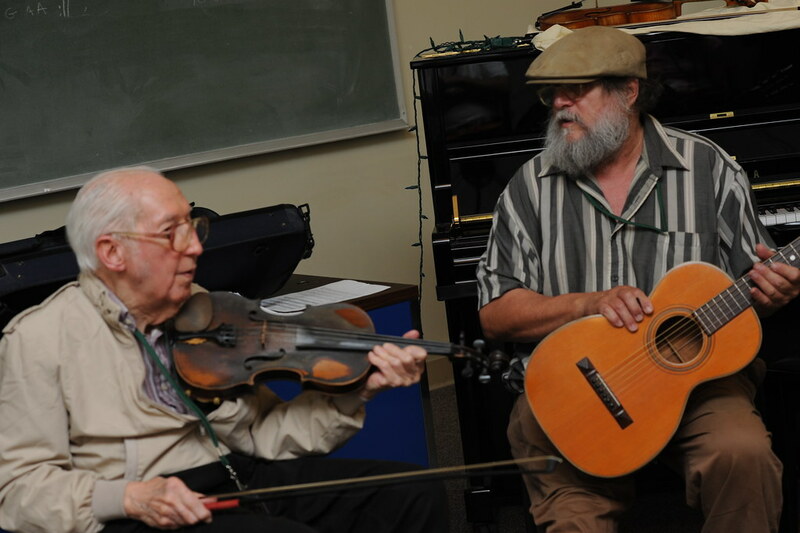 The month of July features in-depth multi-generational workshops in Voice, Fiddle Tunes, Poetry and Creative Writing, and Jazz. 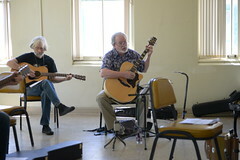 Visitors and residents benefit from access to many free events at the Fort and world-class performances at concert venues on the Fort Worden campus. 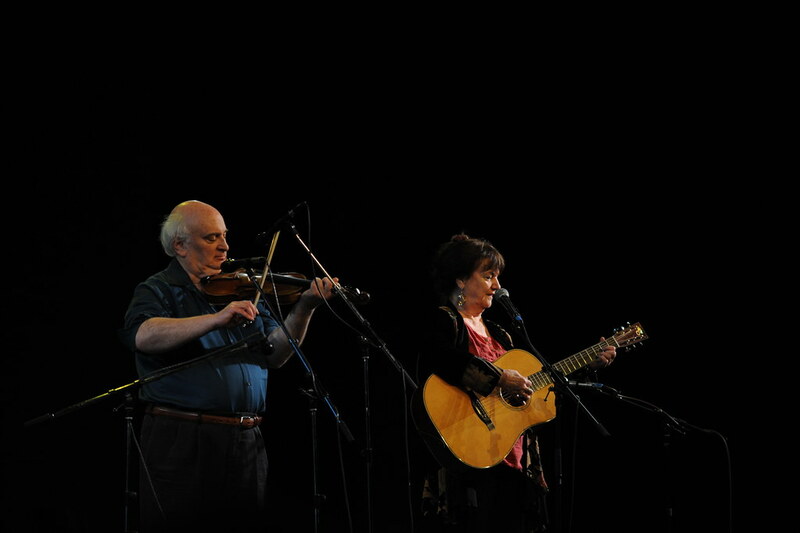 This year also marks the 40th Anniversary of the Festival of American Fiddle Tunes and the 25th Anniversary of the McCurdy Pavilion, a WWI balloon hangar that Centrum converted into a 1,200-seat concert facility in the 1990s. 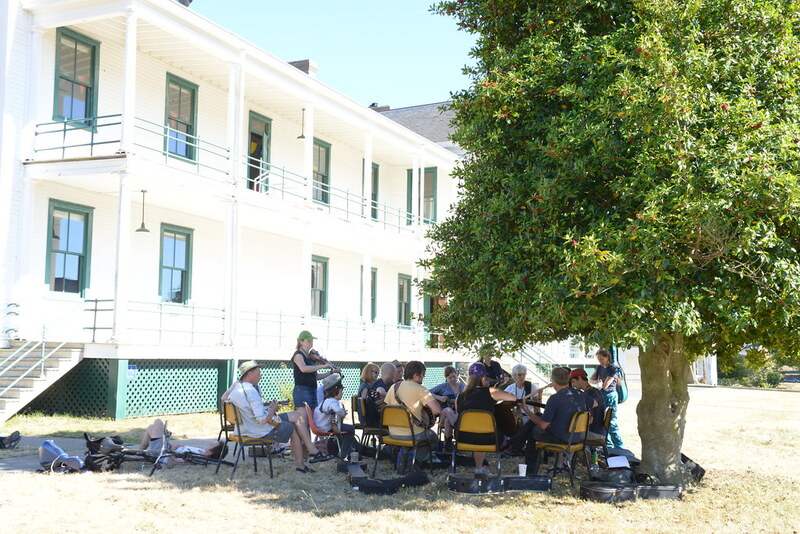 Voice Works is this weekend at Fort Worden State Park in Port Townsend, WA. Be part of all that Centrum has to offer as a great kick off to Summer in the old blimp hanger. 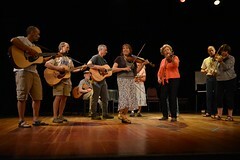 Mollie O’Brien, Rich Moore and Kids This Summer @ Voice Works! July 3 – July 10, 2016 – the 40th Gathering! 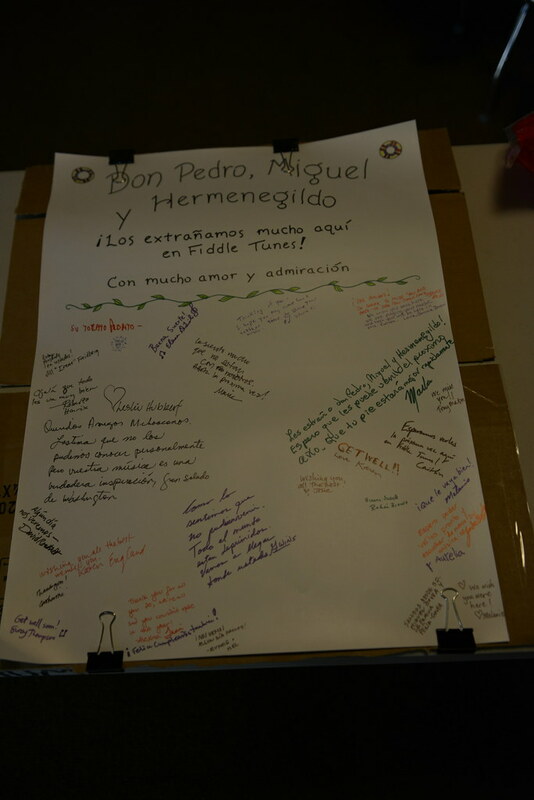 Fiddle Tunes. Spend a week living, learning, and playing music with masters of a wide variety of fiddling styles. 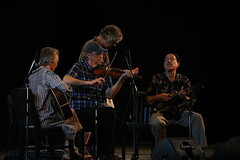 The Festival of American Fiddle Tunes provides an opportunity to be in community with the bearers of fiddle traditions. The goals of the gathering are broader than improving your skills as a musician, and include discovering culture through music, learning music in a cultural context, and building lifelong relationships in the fiddle music community. 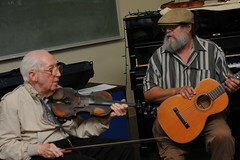 Fiddle Tunes started in 1977. 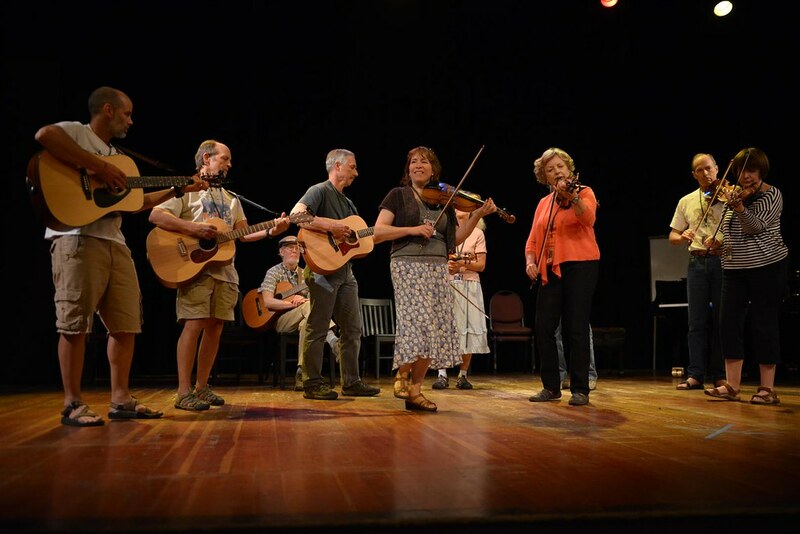 It’s a week-long, total-immersion workshop with a hallmark of presenting an expansive array of fiddle styles from specific regions of the world. 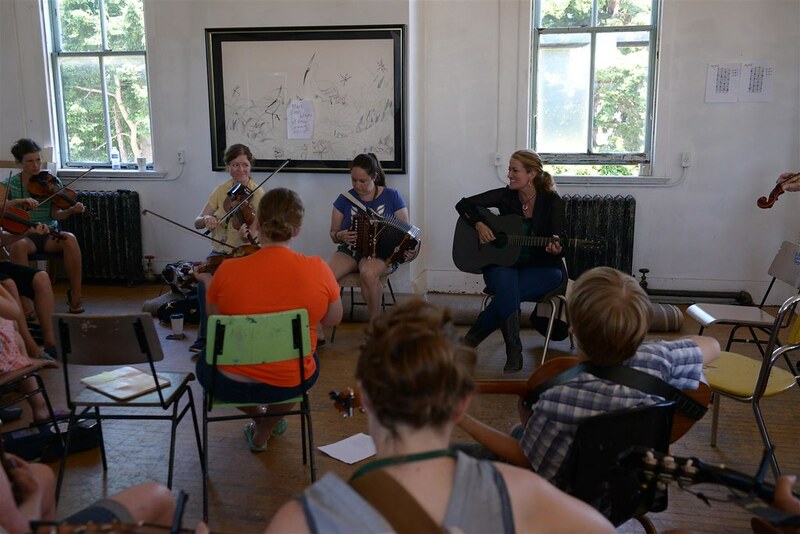 Workshops, classes, band labs, tutorials, dances, concerts, singing, open jams, hat parties – all contribute to participants’ experience. Visit the artist faculty page to learn more about the artists and the regional styles represented at the gathering. You’ll learn by the oral tradition – listen, imitate, listen, practice, and listen again. Please don’t expect written music on paper. The main teaching focus is on the fiddle, but you’ll find day-long instruction on the banjo, guitar, and button accordion, and nearly as many classes on piano, keyboard accordion, singing, clogging, string bass, mandolin, and social dance. You’ll arrive at Fort Worden and pick up your registration packet, which has a schedule, your badge, and your meal ticket if you ordered one. You’ll have time to settle into your dorm room (or other housing) in time for the first event, which is dinner in the Commons. After dinner we’ll have an extensive welcoming session where we’ll attempt to introduce everyone who is teaching during the week. This is harder than it sounds, as there are more than 55 people on the teaching staff. Your goals at the welcome session might be to visually identify the faculty, try to choose who you want to spend time with during the week, and enjoy other styles of music that you won’t have time to study. There are two categories of staff–the faculty and the tutors. FACULTY: During the week each faculty person will teach four morning classes, lead an afternoon “band lab,” play for an evening dance, and play in one or two performances. TUTORS: Beginning-level tutorials are designed to address the needs of beginning and beginning/intermediate players who wish more individualized instruction on their instrument; they will focus on technique. Intermediate level tutorials tend to focus on style. In many cases, the intermediate tutorials will be in the musical styles presented by the faculty. Tutorial sessions are universally small, and are open to all. 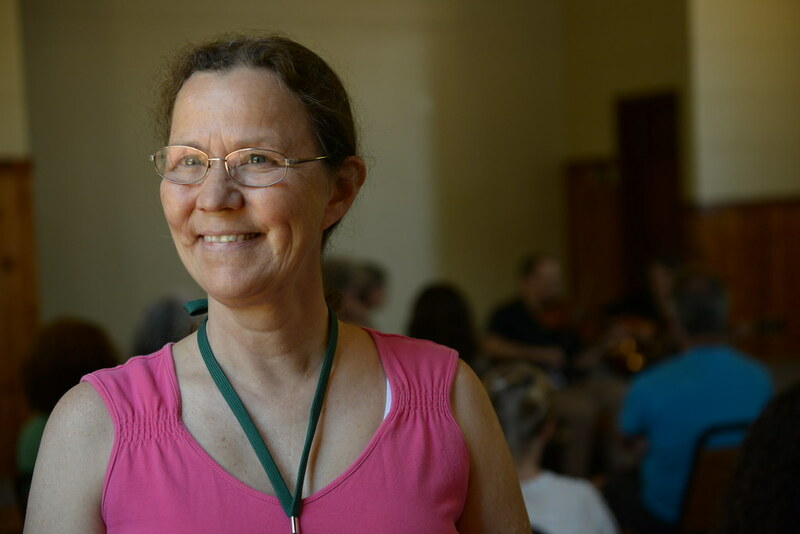 You will also find tutors hosting jam sessions with a spirit of graceful encouragement, playing for dances, and generally being a welcoming and helpful presence throughout the week. Each of the faculty will lead a Band Lab after lunch. What’s a Band Lab? Basically, you’ll be a part of a band learning to play in that faculty member’s style. You’ll learn what makes that style sound like it does – slurs, slides, bowing, ornaments, tempo, etc. Each band lab will play for a dance late in the week, and play in the band lab concert on Saturday morning. 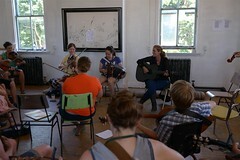 There is also a Beginners’ Band Lab, which is a band lab for beginning-level musicians. Three nights of in-house concerts showcasing the faculty; a participants’ concert; hat party; four public performances (two on the 4th, one on the 8th, and one on the 9th); pleanty of hosted jams. 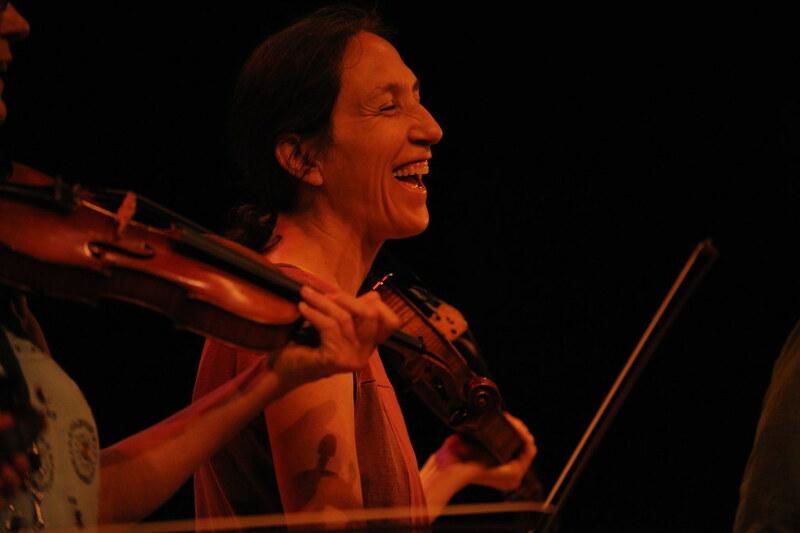 What might a beginning musician expect at Fiddle Tunes? 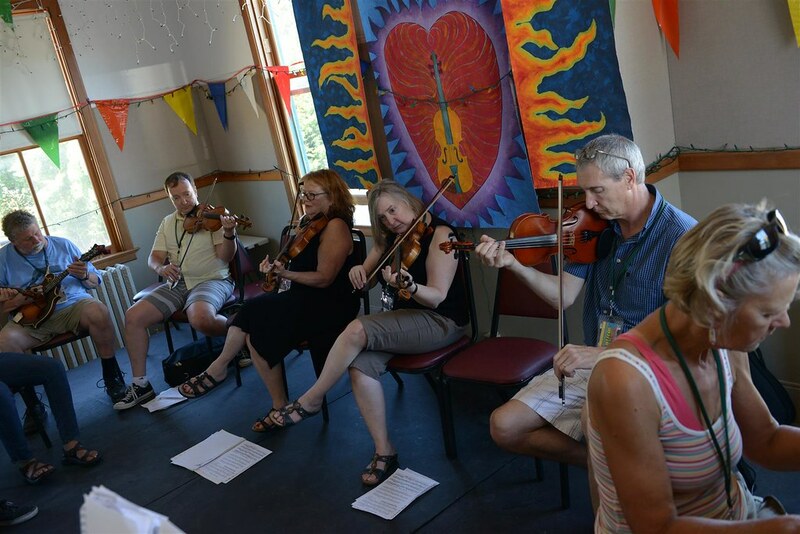 The gathering welcomes people of all abilities, but it’s not uncommon for beginning musicians to feel frustrated at Fiddle Tunes. Here’s what to expect. 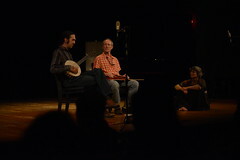 The mornings are dedicated to workshops led by the faculty. Generally speaking, these players were invited to the festival as representatives of a certain style of music, one that they learned from their family and neighbors. Some are experienced teachers, many are not. In an effort to present them in an organically (as much as possible), they receive no guidelines from Centrum as to what level they should teach – it’s their choice. Most teach at an intermediate and above level. As a result, there is nothing geared specifically for beginners in the morning classes. But we think it’s critically important that you attend these sessions. The people on staff are active tradition-bearers, and they share more than their music. You probably won’t open your case at these sessions. Rather, you’ll be in listening mode, soaking your head in a certain style, listening to stories, understanding the context in which this person’s music is played back home. After lunch, you can join the Beginners Band Lab – all beginning-level players of any instrument are invited. You’ll get an idea about how exciting it is to play with other people. The Beginners Band will play for a dance if they’d like, and also in the Band Lab concert on Saturday morning. In the late afternoon we offer beginning level tutorials (see above). They’re small, so you’ll have plenty of personal attention. We hope this information is helpful to you in deciding whether the workshop might be a good fit. Being among so many players can be overwhelming, but it helps to know what to expect. If you have any more questions, feel free to call Peter McCracken at 360-385-3102, x127. Is the gathering appropriate for children? Absolutely! 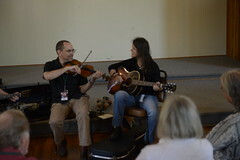 The Festival is an intergenerational gathering, and we welcome musicians of all ages and abilities to participate fully in Festival activities. If your child is under 13, and not ready to fully participate, we offer a special Kids Track (see the FAQ page). If you have any questions about any of this, send Peter McCracken an email: peter@centrum.org , or call 360-385-3102, x127.